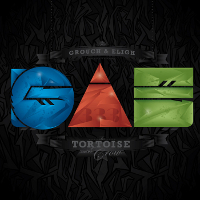 When The Grouch and Eligh announce the release of a new album, we feel a tension, a sense of excitement. Electricity in the air, quoi. Without hearing a note, you know youâ€™re gonna check out an album with precise, multi-layered production, lively lyrical interaction and lots of life stories. This time, the two Living Legends release not one, not two, but three albums: one collabo â€˜333â€™ and two solo's. â€˜The Tortoise And The Crowâ€™: it's a unicum in hip-hop history and a proof of their undying thirst to share their innervisions with the world. â€˜The Tortoise And The Crow' is not a collection of songs. But a feast of fables. A frame of stories, with tales of morality and wisdom. Honestly, years ago, when our world was weightless, we'd chuckle secretely at this album. 'What they callin liquid courage for? When after itâ€™s over, you weaker than before.â€™ Hmm... 'Relearning how to breathe can be a very basic tool to set you free'. Pfff. Despise would be its share. Weâ€™d crack another beer and continue our unworried life. But as salad days made room for responsibilities, Grouch and Elighâ€™s stories became very recognizable. After all: listening to rappers rappin about getting drunk and stoned gets boring after a while, right? Well, often. Anyway: 'Sober is the new cool', as The Grouch predicted a few years ago. Call us dull, but rappin about a garden has something adventurous. Not anyone can pull this trick though. The Grouch and Eligh have the power to translate their morals into accessible song concepts, with striking imagery and a convincing voice. Plus: they don't act intellectual and omniscient. They speak from the heart, flow naturally and play it cool. Their albums: 'itâ€™s deeper than rappin'. 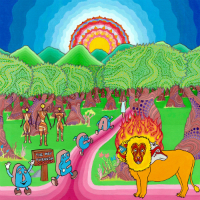 Grouch and Eligh see the world with a third eye. Be aware of yourself, your presence and your actions. Some need mindfulness to set their mind straight, but what you really need is to play this record. Itâ€™s lessons in confidence, wising up but also in taking adversity and handling problems like a man: â€˜If we never face struggling in the bubble, well, thatâ€™s a curse'. Their message isnâ€™t just one-dimensional positive; 'I'm not easily confused, but I'm not easily amused either', guest rapper The Prof admits. Powerful content sometimes oversnows production. Here, both keep each other in balance. A few months before the release of this triple disc, Eligh and Grouch dropped an EP with trap instrumentals from TNGHT. For a moment â€“knowing their sense of creativity and experimenting and that West Coast hip-hop likes to experiment with it- weâ€™d thought theyâ€™d continue that style. But, although 'Hella Fresh' and â€˜Say Eligh! Say Grouchâ€™ go in a more clubbish direction, â€˜333â€™ is vintage G&E: your perfect soundtrack for a beautiful morning or a mellow afternoon. Uplifting sounds give shine to positive messages (the guitar in â€˜Runâ€™) and melancholic instruments (the piano in â€˜Complicatedâ€™) support the pondering. With an overall excellent mixing, leaving their sound as clean as their message. '333â€™ is an electrifying record indeed. Central theme of this record: love. Love yourself, love your family, love your music, love nature, love your everyday activities. Weâ€™re not summing up the end credits of the movie â€˜Trainspottingâ€™, but itâ€™s the Leitmotiv of â€˜Lighthousesâ€™. With a distinct voice, clear mind, ad rem rhetoric, and a passion for rhyme schemes, The Grouchâ€™s lyrics resonate with warm, uplifting and versatile beats. A synth here, a violin there. Diana Ross up front, a big beat in the back. The Grouch takes something out of the ordinary and uplifts it to a higher register. Who else can rap more cooler about his garden? Or lets the most stubborn single dream about family life? Despite the use of mythology and spirituality, The Living Legend grabs your attention with an ability to make something abstract sound concrete. On self-consciousness for example: a theme thatâ€™s well elaborated on the Ant-produced â€˜My Best Teacherâ€™: â€˜Have a humble soul, but never dim your shineâ€™. The Grouch knows how to wrap up a message and makes a chorus sound catchy â€“ â€˜like this and like thatâ€™. Grouch brings a positive message (â€˜The skyâ€™s not falling, weâ€™re just risingâ€™) where love is key, as he warns: â€˜What you gonna do when the love is gone?â€™. Central theme: â€˜on the wayâ€™. On route, the life road. The title already gives a hint: wandering through existence, searching for clues and answers. Like a true Alchemist, Eligh reads the signs and plunges deep in his soul. The result: a few knife-sharp self-analyses, with honest, blunt testimonials. On â€˜Attractions To Painâ€™ The Crow relates on sadomasochistic tendencies to scratch his own soul: â€˜Give it to me baby, hurt my heart, I like the scarsâ€™. 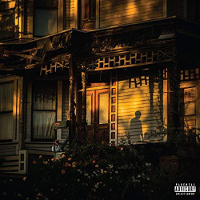 Eligh opens up his vulnerable self: â€˜Itâ€™s a blessing and a curse to think from the heart firstâ€™ and almost bursts into praying on â€˜God Songâ€™, where he describes his relationship with a higher power. While the stories are slow food for reflection, Eligh spit fire raps over this impressive, mystic, moody sound set, with different, peculiar sound palettes, an eye for detail and an amalgam of instruments and influences, from Americana to dub. The album opens up with full instrumental tracks, proving that Eligh doesnâ€™t necessarily need to write to his music. But rather: let the music speak. Eligh eats and sleeps music. It tells. The ability to translate your life journey into convincing, relating stories and well put arrangements, is the work of a musician at heart. â€˜Nomadsâ€™ is the least accessible record of 'The Tortoise And The Crow', but technically the most enriching.